No God? Or All God? If we substitute GOD for order, truth, life, beauty, quality, love, perfection, nature…… will the two factions embrace silence ? Map is not the territory. But without maps we are helpless to deal with the territory. Imagine thinking of the planet before the space missions. The process that we document here began in 1980 when some of us took our invariant position as Facilitators. The visual is a map of this journey that we have taken which we share with those who joined us on the way. The text assumes meaning only in relation to this map. Text is used a means to create an internal image as above in the Piper of Hamlin to create a map that we need to learn to learn all over again, be like little children. In 1981, Rob my painter friend, shocked me with the opening statement. I would have come across to him as one of those arrogant MBA types. He tested me with a few simple questions and proved to me that I am visually illiterate. Later on I came to know that I am illiterate in many other modes too. Post Wall Street, he would have framed the question differently. People should not be unsettled from their comfort zones. It might do them good but spoil your reputation. So I play the diplomat but diplomacy came after many hard knocks, over three decades. “But I am a PhD” responds, Dr. Nazki over FB. I first met him in 1976. We re-connected on FB a few years back. Thanks to social media, I can continue in my well (need not go to Paris where I would be even more illiterate) and yet remain in touch – at a distance – without being a victim of the porcupine logic. Edges go beyond the geographic. There exist a divide between the biologist and the physicist as with the farmer and the fisherman, poets and painters and the fictional average goose. Newton continues to influence the metaphors and paradigms of the literate (read, my doc) much more than Einstein or Darwin. The Trouble with Physics (Lee Smolin) or Cosmology is that the proponents are illiterate about Biology. Physics is more in fashion than Biology. Both perhaps are illiterate about the lens with which we see the world. We are not talking about seer scientists like Einstein who come closer to poets and painters who are more in alignment with their deeper selves. Literacy in a traditional sense is the ability to manipulate symbols and make sense, in other words, read, write and think critically. I wish it had been read, write and reflect. Literacy is often equated with modernity and culture. In the beginning was the word and now that we are nearing the end of the word as we knew it, will we turn out to be more literate in the non-traditional sense of the term. The printing press and the East India Company are often perceived as landmarks to beginning of the ‘modern age’. The oral traditions which relied on memory gave in to technology and to those who could leverage technology. The digital frees up much more memory and opens up space for creative endeavour which could also lead to a void taken over by digital noise in no time. Closed is even better than open at times! In a world that visually unfolds in real time, how long can plain linear static texts compete with much higher bandwidths? There is more to the argument that the more literate we are in the traditional sense, the less literate we are from a developmental perspective. The new literacy is about making sense and meaning of the world around us, physical or virtual; reduce the complexity of cues, symbols and noise which facilitates navigation rather than wandering around without purpose or speeding up without knowing where we are heading. Nature is ‘over’ designed to be perfect. We work (?) by default, not by design. Rahul asks what is your default setting? We are the only species which comes with the default setting to fail, self-destruct. To be literate is to realize this. When the pace is too fast one fails to see what happens around us. it is all a blur. Slowing down has no intrinsic value unless the slowdown helps us to see what happens around us. The farmer is slow but the fishermen cannot afford to be slow. Not all farmers see and not all fishermen are fast enough. We have mastered navigating the physical world. The maps are near perfect though the means could be improved. The virtual remains to be mastered. More often it is noise and the ability to make noise that prevails. Captain Sparrow with the broken compass is an apt metaphor of our times. Even Pirates have their code. “The code wins arguments”, silence is restored. Managers are yet to develop one. Adult education is a mockery of education, proof that the long years of ‘educating ourselves’ in schools and universities don’t turn us into ADULTs, teach us to self-manage instead of mass produce a new version of slavery which certainly appeals to born again Hitlers ! Lifehacking was not coined in those days. Nazki the poet, Rob the painter and Professor PC Devassia, Indian Sanskrit scholar and poet were our touch stones for deciphering the literacy code. I met PCD in 1981, 75 at the time. He passed away in 2006 at over 100 years fulfilling all his goals that he had declared himself when he was 60. He could see for forty years. Passing the lie detector is no proof of truth and truth detectors are not yet in the market. Time will prove whether all the noise has any substance. 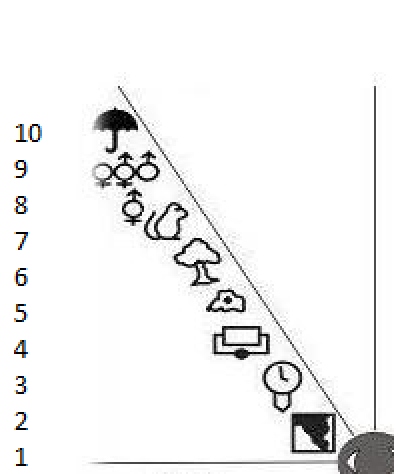 Has literacy, the real stuff, got anything to do with longevity or sustained high performance? Wiki has a list of lists of centenarians which comes close to our population of literate people. There are 19 categories in this list of lists. Here is the one that relates to literacy. Reflecting, to be human is to self-reflect? One thing we learnt in B-School (from all those case studies) was not to look at anything with a single lens. Use as many as possible and if there is agreement between most of them we are more likely to fare better than most. The eagle lived on the tree beside a deep well and in the well a community of frogs. None of them had ever been out of the well. Every night the eagle could hear the granny frog telling bedtime stories to the young one. One morning when the thermals had begun rising in the air, the eagle swooped into the well, grasped one little frog in its claws and rose up with the thermal. The heights and the fear of death overtook the little one. Then the eagle let go of the frog from the heights above the well. While falling back, the frog had just a glimpse of the world outside. The eagle went back to the tree and waited for the sun to set, to hear the story of the day. What will be the story of the day? Tell us? We have been collecting these stories since the very beginning. Initially everyone connects it in their own ways. 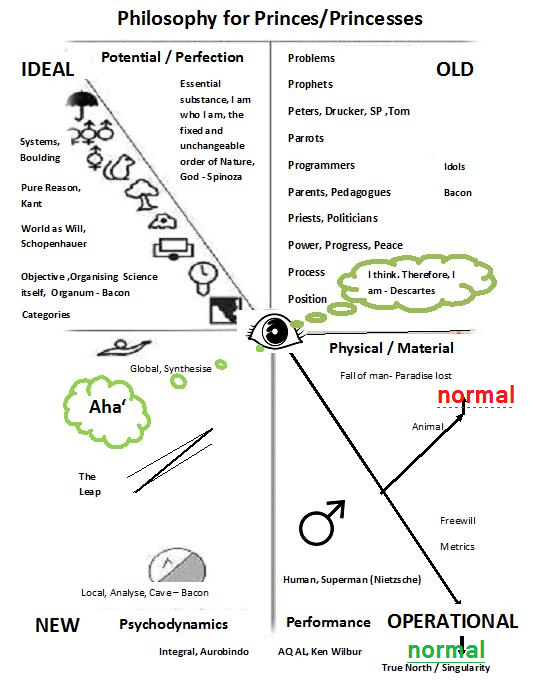 Some identify themselves with the eagle and some with the frog and the fear of death, nott many with both, the system A and B (Kahneman), eagle and the frog, the big and the small, telescope and the microscope, Hubble and the Femtoscope, Global and local and the connections in between, how mental models are formed and revised to become mental maps. Most often, solutions do not lead to net improvements. The provider turns myopic to the issue out of a natural bias to one’s own baby, driven by selfishness than appropriate selfishness (Handy), create leaders and followers, teachers and students amounting to more of dependence than independence and interdependence. Knowledge is the sum of all that we know, will know and can know and the process is learning. To learn is to connect, reflect and catalyse- better, faster and deeper and improve together. Parents and teachers desire that children learn faster. Managers desire that they learn faster than the competition. Citizens wish that the country positions itself as a learning community and improve faster. Do we really learn? If the outcome is improvement towards the true normal, we don’t. There is extreme urgency for rapid learning in the context of environmental concerns, social divides, growth vs. inequity, war for or liberation of talent, inclusiveness and the role of corporations in creating a more desirable future. Technical connectivity enhances the possibility of real time collective and purposive learning. Complexity of these issues demands a new pedagogy, tools and processes. More of the same would not suffice. It is not that we may not know. It is also equally important to design new ways of prioritising, showing, experiencing, comprehending what we already know at a greater scale and pace. Knowledge architecture addresses issues of crafting new ways of seeing, a prerequisite to creating a more desirable future. Architecture is about spaces, KA is about virtual spaces. There are many ways to achieve this. 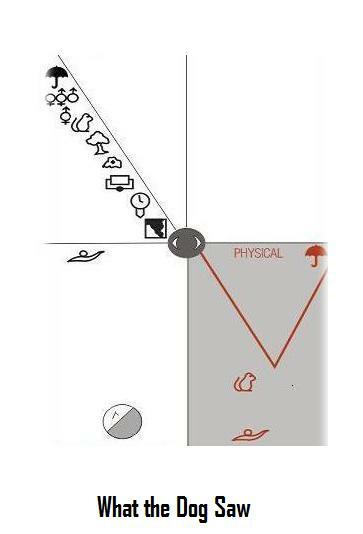 Symbols facilitate easier navigation than written text as in the case of GUI of computers and software applications. A picture is worth a thousand words is an understatement. More often there is no substitute for a visual symbol as in the case of road signs. Some aspects can only be communicated through visual symbols and text often hides the big picture. The younger generation is more visually dependant than on any other stimuli for learning. The visual stimuli have the highest bandwidth too. Yet one cannot ignore any one since each one has their own preferences. Stories, storytelling, scenarios, dream work, models, experiential leaning, open space, real time management development, dialogues, a plethora of tools are available to take care of the process. I would like to play god for a few minutes find and replace the word teacher with facilitator from the soft tissue memory banks of all humans and then go to sleep with the satisfaction of having done a good day’s work. The collective amnesia would make sure that the word is not revived. It is hard to stop being teachers and bring back learning to the centre stage. I thank the teachers who did it for me. I also thank those who drove me to write this piece. But for them I wouldn’t have. When I look out, I can see the Bangalore campus of the National Dairy Research Institute, which was once the Imperial Dairy Research Institute, started in 1923 by the British. Mahatma Gandhi had been there, a student for a week. That was much before my time (1971-73). What he learnt in one week, I wouldn’t have learnt in two years. He would have foreseen the white revolution that would sweep over post independent India. The first learning point, the most important turning point in my life happened here. I discovered the fun of learning which had gone out during my formal education. Having got disillusioned with the world of work I came back to Bangalore as a B-school student for another two years, 1981-83. What was then the outskirts of the city is almost the heart of the city now. I am once again in Bangalore, my third time. Where I live, the National Games Village used to be a marshy swamp. The locality around, Koramangala, is more than home to the techies in Bangalore. In between, the IT revolution took off and reached its peak paving way for the next revolution in the making. I visualize Bangalore driving that revolution, emergence of a learning community which renews itself continually where work, learning and leisure come together as one so that work becomes its own reward. Goodbye to incentives and stock options? Every time I am back in Bangalore, I get a fresh lease of life and at 60, it is happening once again. There is a campaign going on in Bangalore – ‘Teach India’. I wish they call it “Learn India Learn”. We put on our teacher’s hat all too often, at home, at work, on the road and even in our dreams. We kill the joy of learning when we set out to teach, more the teachers less the learning. Learning can now be outcome based on need to know basis. The best of my teachers did the least teaching. They created the conditions for us to learn. We had a wonderful pair, in B-School, who did the least teaching. We called them Laurel and Hardy. They allowed us to put on the teaching hats and listened to us. I was hooked to system thinking (not systems thinking) which was another learning /turning point in my learning curve. Habits seldom die. It took me three years of teaching to say goodbye to my ‘teaching career’- in 1984. I found myself unfit for the job, fished out my learner’s hat and got wedded to LLL, lifelong learning. When we do that growing old is something to look forward to. Julia Roberts, the pretty woman actress echoes it. Growing old is becoming free. Development as Freedom (Amartya Sen) is true in this context also but it is dependence for those who do not, stuck at the learning plateaus. The process is not always very pleasant. Bangalore is also the suicide capital of the country and the incidence is the highest among those in the age group 15-44.There is pain and suffering while we are stuck and the joy and freedom of getting unstuck from the plateaus are abundant compensation for the pain. Having gone through the process, it was a logical next step to take position as a student/facilitator of learning. One can certainly make the process easier for those interested in transcending the barriers to learning. – JM, Autobiography of an Indian Manager. Our perception of normality is abnormal. This is the burden that we carry. The understanding of the true normal liberates us from this burden. The GUI, essentially a map and a pointer to possible virtual journeys, took computers to the living rooms across the planet. The web and the cloud open up vast libraries of information and knowledge. The visual framework discussed here was evolved in the process of addressing the environmental, developmental and sustainability challenges in the state of Kerala while working with livelihood and food security issues in primary production (livestock and fisheries) to evolve institutional systems to address them. Let us clone the very best cats, go for a bio-tech solution rather than a manufacturing one. It was decided that we will have the Indian solution and the CAT came to be. The first centre was so successful that beating the CAT became the ultimate dream of the slum dog billions. Every panchayat wanted to have one such center. A task force was constituted to decide the exact number to be set up. There was this farmer from pre ‘territorial independent’ days who had four sons and 4 + daughters. The female numbers do not really count. One from the + side had only daughters and Nuthan was the youngest of them. Of the four idiots, three went to the IITs and one took a short cut to one of the CAT centers. He wanted to prove that he was a better idiot than the rest. You deserve the Miss India talent crown. To the best of my knowledge you never went to school or college but spent most of those years in indoor stadia all over the country, having a ball. You never picked up any quant other than balancing the financial statements in your B. Com finals. Yet you did better than the best of the astute and studious. The procrustean is the bedrock of modernity (mediocrity), the generator of pyramids and the hierarchical. Procrustus is a monomaniac, a Narcissus who sees that he fits his frame perfectly and uses the same to sit in judgment. I am intelligent and the other is less intelligent. I am normal and the other is fit for the madhouse. I am civilized and the other is primitive. I am a native and you are an immigrant. Mine is the only faith that guarantees salvation. He is the economist who says the American is 35 times more ‘developed’, since the Indian has an average income of 1000 dollars against 35000 for the American. Has anybody met the average Indian or the average American? The happiness index is outside his frame of reference. Black Swans or Black Sheep? WFT , the Future History of the Modern Pyramids, 2111. Yet to be published – it takes a gap of around 100 years to normalize our achievements and to put them in perspective. Based on the ‘normal’ perspective Nuthan would not get through CAT. She did not tread the beaten path. Exceptions point to the truly normal and only the truly normal can aspire to be super normal. Power Lie = Placebo + Potency! “The container has become the content, media the message and the massage! “ When everything is a lie, lie detectors are akin to mousetraps where rats are extinct. What we need is a truth detector. Philosophy ought to be that touchstone to detect truth. T: So how do you move from 13 to 22? Time for another break, here is another story. T We are the only species that can improve, others cannot, and animals cannot improve, we can but we don’t. War for Talent vs. Liberation of Talent? India is the top remittance receiving country in the world with annual remittances of 1, 28,500 Crores which is even more than the defence expenditure of the country. Kerala and Tamil Nadu account for half of the total immigrants. The bulk of remittances are from West Asia contributed by semiskilled and unskilled labour. The demographic profile of immigrants is in transition and the next generation of new entrants to the job market need skills and competencies of a different order Enhancing employability through investments in skill training is assigned a very high priority in turning the demographic liability to a demographic dividend. Over 6, 00,000 B .Tech / MCAs and 20, 00,000 other graduates pass out every year from colleges in the country. The number of engineering graduates is more than double that of graduates who pass out of all US universities. The lure of employment rather than aptitude influences the decision to go to college. Even a professional degree is not always a passport to a certain job. Employability is the capability to gain initial employment, maintain employment and obtain new employment if required. The war for talent (WFT) model pre-supposes that there is only a limited pool of outstanding talent. A few can make a larger difference and that they are more fit to survive. They flock to IITs and IIMs on the assumption that these few as part of their strategy to outsmart the competition. Media create headlines when IISc secures a global ranking of 35 in employability. Nobody is keen to know their ranking in science- ability. A case is often made out to establish that there exists a wide gap between what industry wants and what educational institutions offer though both sides are equally illiterate of the different positions and perspectives that goes into the noise. The terminology of hard and soft skills best illustrate this ambiguity about skills, competencies and performance. It is said that for people working in technology the ‘hard’ skills include the technical competencies, skills that are obtained through formal education and hands-on learning which are measureable and learnable and need to be constantly renewed. Soft’ skills on the other hand are generally interpersonal competencies that are more difficult to define and measure. While one may, for example, learn to make a bomb, even get some practical training in this respect and also get certified to the effect, no consideration is made as to the mental framework of the student. But it is the mental framework, the ‘soft’ skills and attitudes together that decide whether the bomb adds value or adds costs. (September 11). The truth is hard skills are soft and soft skills are hard and once the soft skills are in place learning and acquisition of skills to suit the requirements of performance is the responsibility of the employee in an environment where adulthood and responsibility are in demand. There exists are cultural aspect, embedded in each one which often stands in the way of creating and sustaining a high performance system. Consider for instance, something as simple as the ability to ask questions, a competence that is essential if one is to add value in a professional high performance organisation. Over a decade of working with B- School students, we have found them extremely reluctant to ask intelligent questions. The engineering graduates and graduates from the humanities stream who do not receive much of formal training in these areas are still down the ladder. Competency is the state or quality of being adequately or well qualified to perform a task. While a person may have the competency to perform a task one need not have the desire perform. The Misinformation Overload and another Snake oil Cure ? It is not humour, call it pathetic humour. Is there an enemy outside? The latter become less intelligent in the process. Levelling? Even the dog sees that we have gone astray! M: We have a 26/11, the Indian version of 9/11, and you are still digging? J: Recessions, terrorism and religious fundamentalism have many things in common. It is very much part of the syndrome that we discuss. We were digging from 1981 to 1990 when the synthesis happened and the FDF fell in place. Without looking back, digging deeper into oneself and also into our collective past, we cannot go ahead. We can see ahead as much as we can see into our past. Since 1990, more than digging, we have been facilitating the process of digging and integration, one to one, in groups and for organisations. M: “Root wilt and Bunchy top”? Bunchy top is the syndrome that goes with power and hierarchy – the emperor is naked. M: The monarchy is not dead? When we are in a great rush we fail to see what happens at home. The seniors could help because they are in no great rush. They can go digging and might come up with some treasures. Or you could outsource it to India. They are better at digging because of the greater diversity in terms of the plurality of religions, languages, color, and myriad other differentiators. It is like the Galapagos to Darwin. We might come up with a new theory of human evolution. This is the unique competitive advantage of the country that China and the US should be worried about from an obsolete leadership perspective. The pyramids continue to attract us. They have stood the test of time and are not out of our collective psyche. We now have other forms of multinational pyramids with the bottom and the top out of alignment. Recessions are the result of the tectonic shifts between the top and the bottom. The self is to the organisation as the cell is to the body. Our maps of the cell are yet not complete. We are yet to decipher the ‘junk DNA’. If we don’t understand something we junk it. We don’t have a map of the self but we have so many working models of mammoth organisations. If change is all that we need the President elect has already achieved it. He did connect extremely well with more parts and bottom of the pyramid and won a landslide victory. Now when he moves up the largest pyramid, he will lose sight of the bottom. Take a look at http://www.Change.gov. You cannot write to the President elect unless you are a US citizen or you need to lie that you are one. While he is much more than the President of the US and presides over a larger world, he could fail to connect with the larger human issue. When we are on top of the pyramid we cannot see the bottom. Even at a much lower level, there are very few families with a sustained trajectory of improvements. One generation makes it and the next generation squanders it – is a norm. We are discussing a design problem as to how this trap can be circumvented since the issue is not change but sustained continuous improvements – building the new tower of Babel. This time we need to bring in the spirit/nature to the centre of it which is not likely to happen, going by the history of collapses. The frog will be blissfully unaware that it is turning into frog soup. J: A recession is nature’s way of bringing you back in touch with the bottom? M: Watch the language. If it is one which the man on the road fails to connect to, we have reasons to worry. Leader ship is not about having followers. Christ gave us a model of servant leadership, washing the feet of his disciples. Ashoka turned into a servant of the masses. Gandhi did the same. The church could not hold on to the model for long- it has become the oldest surviving pyramid. Respect for diversity. When we don’t respect the diversity of the flora and fauna nature dies. When we don’t respect the diversity of the human, the species is at risk. When we put all our money in GM we are risking our financial future. It applies to faith too. The NICs showed that they could follow the path taken by the US. China has already proven that they are much better at it at a much larger scale. India will not be able to do it because of its greater complexity, diversity and the unlikelihood of the emergence of a similar leadership. The first two are already part of our experience but the last one is the most powerful. Here lies the competitive advantage of India. Globally here is the opportunity to leverage ourselves out of the recession and move into an altogether different phase of sustained continuous improvements as against discrete, random and isolated improvements. J: A learning engine is capable of continuously improving on its previous best performance so that there will be no booms and busts as in the past. Continuous improvement implies continual learning. 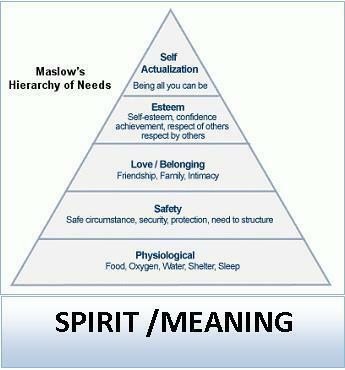 M: Why have you come up with an addendum to Abraham Maslow? M: What else have they come up with in your digging workshop? J: I have a mail to our dream archives from one of our participants. He had it the night after the process workshop which was about digging deeper into our selves – part of it was to connect with the male and the female in us. M: Why are you digging into dreams, fantasy and fiction once again? Recessions have been the outcome of typical male macho linearity. More of the same will take us faster to the doom, such as the bail outs. This is the time for the non-linear, waves, cycles and the spiral. The male would say let us cut down on the head count, on travel, training or let me get out taking my bonus. The female would say let us cut down on our perks and salaries, let us not kill the community, let us transform the pyramid into a learning engine which improves itself continually, bring in radical improvements in productivity and meanwhile I would take the largest cut. M: Why look for another source of energy? J: It is very simple. How many sides, has the coin? J: How many sides for time? J; What about the day? M: Day, Night, Dusk and Dawn? So what? M: Are you suggesting that the self is seldom born? J Well let us see this as a process. We may not be far from truth to make such a conclusion going by the degree of community among us and the hyper inflation in our problems. We deny needs to the majority and glorify the wants of a minority. The pyramids tumble down in the tectonic shifts because the foundation and the top are not aligned, a part of the truth about recessions and meltdowns, booms and busts. M: An extension of the logic would mean that one might find killing someone to be spiritual? M: Are you pulling Mr. ‘Freidman’s legs? J: Flat hot and crowded is a typical linear statement though most of the book is focused on the SW quadrant of the FD framework. He would do well to dig deeper into his self taking his own prescription for the malady. He touches on the need for non-linearity. Linearity is short run and very local. Non-linearity is process thinking, thinking in waves, cycles and the spiral. The waves will have ups and down. We cannot go completely against the cycles of nature. We need to work with them. He claims to be an American and sees the issue as an American issue, not human or global though he can legitimately claim only to be a US citizen. We are first humans, then Americans, Chinese or Indians. Freidman seems to be first an ‘American’ and then a human. In Friedman’s reckoning China is worth a chapter, India is worth a few names and the rest of the world does not count at all. The book seems to be timed well with the US elections. It also means that the masses fail to catch up with the process of reckoning. The bottom of the pyramid is out of reckoning against the metrics of markets and money. We would soon be bottling sunshine and brand it Sun spirit. Drinking water from an unpolluted river has no economic value but when you bottle it and sell it, it adds to the GDP, if the sale is in $ still better. If I am in the bottled water business, polluting the river appeals to my shadow self. If one is a hunter or gatherer he does not count. Taking care of the forests and water bodies, and living lightly on such resources have no economic value since it is beyond current systems of metrics. The more aggressive we are in our consumption the more developed we are. J: May be, May be not. This will depend on how we respond to the crisis as individuals and as a community. Digging deeper helps, if it leads to a new synthesis. M: That was a long break. When is the next post? J: We will wait till the views touch a certain number. I mailed an early version of this part of the conversation to friends. Dev wrote that most of this dialogue is Greek and Latin, pointing to the issue of language and communication in our search for the common ground. He also asks a hard hitting question – When the species is yet to reach its adulthood, where are the adults to have a dialogue? M: Recessions must be good for many; economists, psychologists, priests, newsmakers of what is wrong with the world and the illness specialists, in general. At times this could lead to a spiritual problem to the practitioner. When you pay attention to entropy you come to suffer from it unless you experience negative entropy of a higher order. If illness is perceived as an opportunity the practice is but glorified scavenging. Waste recycling of any kind, physical, mental, spiritual, could also be equally good investment opportunities. I should review my portfolio and take a position in some of these while I transition to a more stable system. J: We need a compass for map making as in the case of a terrestrial journey to fix the home position and the variant positions of the journey. When we reflect over the home position with the variant positions we should be able to make sure that we are on course, that there are net improvements. Without reference to that centre and anchoring to the centre we will continue to be afflicted by the bipolar syndrome. When the species itself is afflicted, there is only a degree of difference with the normal and the abnormal in their polarities. M: So what next after principles, people and positions? M: You are suggesting that community does not exist now and that we are centre less. J: When the sheet of rubber is pulled evenly in all directions the centre remains at the centre as far as the sheet remains one. When the sheet becomes a football the centre shifts to the centre of the football. There is no rubber at the centre. It remains as such even when kicked around the field. All it takes is a pin prick to throw the centre out of whack. We are yet to get rid of the flat earth maps. The popular metaphor is flatter, hotter, crowded and so on. M: If there is something like a home position that all of us can agree to what would that be? J: The central issue is what is to be human, the unique differentiator, from other categories of life? Over the years many have come to agree that the differentiator is our Potential to improve and improve continually. Would you agree? I agree tentatively so that the dialogue continues as I don’t see continual improvement anywhere around. I see only booms and busts and sporadic improvements. On the whole I am tempted to conclude that net improvements have been negative. 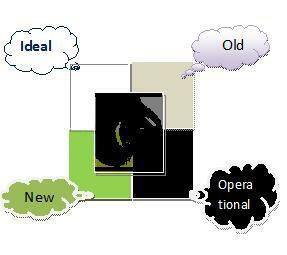 J: It is not wrong to have some fixations, invariance, where people too often preach that change is the only constant. Values and principles are immortal. Another one could be, to be human is to improve and improve continually to realise more and more of the Potential, both personal and collective. Not to improve is sub- animal. This is where we are a class apart from the animal. The root cause of our Problems (another P) is the unrealised potential which drives us to all the substitutes, the bulk of our products and services. One reason why the markets are shrinking is that people eventually come to know that these were substitutes and might choose not to consume more of them as they mature. Recessions can be partly explained by this logic. From a different perspective, there has been no recession as to our problems, in spite of all the solution providers, total and partial, the common position taken by Priests, Politicians, Pedagogues and Parents. The truth is that we have a hyper inflation in the scale and magnitude of our problems in spite of all the Progress which brings us to the issue of what is true progress, improvement or Performance. When you sum up, net improvements might be negative over centuries. The ecological footprint is a pointer to this.Business takes the position that they have either a product or service or a mix of both as the solution to a problem. The issue is what your business is. If one is in the business of shadows and substitutes, one will not be free from booms and busts whereas if one is in the business of continually creating net improvements continual growth follows. The same holds good at the level of individuals too. The sub- animal is much worse than the animal. Animals have better community and they don’t kill within the community without rhyme or reason. They are true to their potential whereas though we have the potential we do not realise it. If we are unhappy about our collective behaviour the central reason is we seldom connect to our true potential nor do we have any clues as to our true potential, not that any of of us want not to improve. In the process we turn sub- animal in our behaviour. Animals sense it whether we are human or sub- animal. In extreme cases, they express it too. Somebody I knew was chased by dogs on the beach. His only option was to get into the water. The dogs waited on the beach, howling. He was rescued by the guards on the beach but committed suicide shortly thereafter. M: So where are we now? 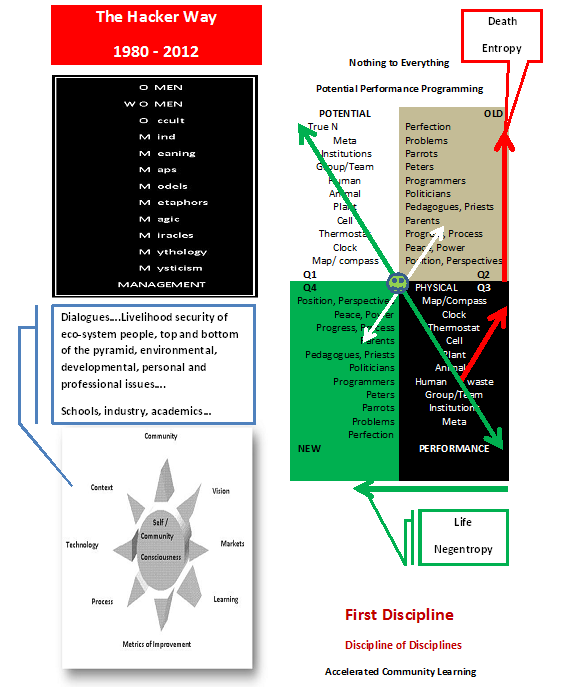 J: We need to go back to the map, the FD framework, which is a grand abstraction of the essentials of sustained high performance, how the flywheel of sustained high performance of the few works against the flywheel of common wisdom. J: It is the conflict between what we know and we need to know to go ahead with the journey. If NE is the garbage in us SW is about developing a technology to convert it into organic manure. We need to take a closer look at the architecture at the core. J is a retiree after working for 34 years. M is between jobs and waiting for the next call from the head hunter. He had been a country head of an MNC, one of the Fortune 100, till recently. Between coffee, lunch, clouds of smoke, coffee again and beer, the dialogue continues. M. I saw it coming every time on all six jobs spanning a career of nearly two decades. Got out at the nick of time when the down turn hadn’t begun. This is one thing good about the managerial career. In the medical profession or a captain of the ship would be sued for dereliction of your responsibility. You seem to have done quite the opposite; you were stuck on your last job for 24 years! M: That is indeed a tall order. I don’t have that kind of patience, period. J: I think we are stuck here. But anyway since you have time on your side, recession proofed yourself for another two years; let us go ahead with the dialogue. It is better than going back to the same channels where they spread more gloom about the future of free markets and governments rushing in to bail out the pyramids. We are turning pro governance overnight! M: Where do we begin? J: Let us begin from the beginning, First Things First (Covey?). Where are we now? J: Mind your language! It shows your code. In that case, changelessness also is a constant. Better debug your code for change and making a difference to, MAKING IMPROVEMENTS AND MAKING CONTINUAL IMPROVEMENTs if you really want to recession proof yourself and your business. You are no better than your code, your maps and tools. M: So where do we begin, with the clock or the compass? J: We go back to principles, always the compass first not the clock. They don’t change like you change into casuals and formals depending on the context. J: You are dead wrong there. This is someone you are yet to come across. He was a student of mine at one time and is now a Professor of Management. He copied a bad copy with the mistakes included. We are digressing; Let us come back to the map and assume that you are the traveller. What will be the first step, before the first step, to any journey? For seventeen years, I have been asking this question to mostly students of business, managers or business men and I am yet to get the right answer within a minute. Probably this was the first time they were confronted with it? M: Let us take a P break? “Let us take the character of Ravana. Valmiki draws upon his own life prior to his transformation to create this character. Ravana has ten heads, is very accomplished and he is an immortal, a boon he received for his austerities for 10,000 years. The ten heads symbolises ten stages, avatars, of evolutionary growth. Yet he is considered a primitive,prakrit. He is juxtaposed against the protagonist Rama, the icon of the transformed man. He has the qualities of a catalyst. In his presence Ahalya, a petrified woman is transformed into her completeness. Though he has passed through many of the gates of transformation he fails to do justice to his wife.